Pupils from Oasis Harpur Mount, Werneth Primary and Marlborough Road Primary School in the North West graduated from the Mosaic Primary School Programme closing off their academic year. The special graduation ceremony, hosted by Manchester Metropolitan University saw pupils, their proud families and their exceptionally dedicated mentors and teachers come to together to mark and celebrate their achievements. 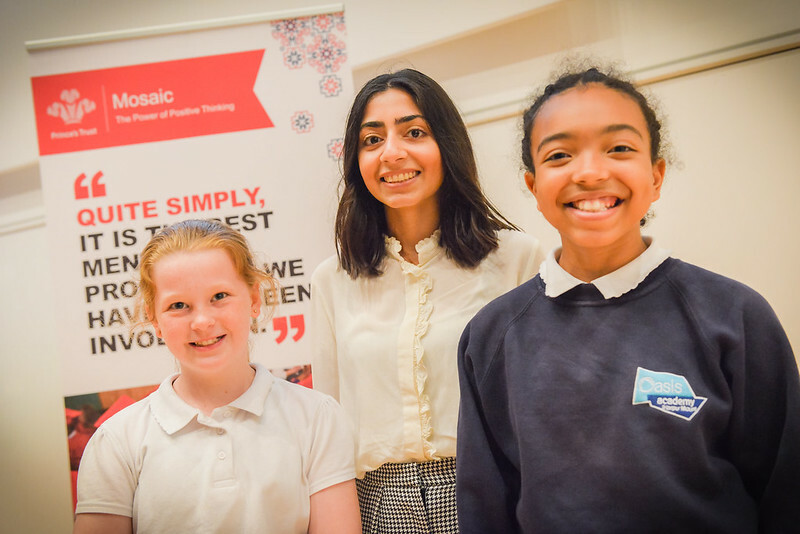 Mosaic’s ten week long Primary School Programme aims to raise the aspirations of young boys and girls aged 9-11 years and help empower their parents so that they are better able to support their children at fulfilling their potential. Volunteer mentors from a range of backgrounds serve as inspirational role models to the pupils, widening their perspectives to all the opportunities available to them. Mosaic extends a particularly special thanks to the mentors, without whom our work would not be possible: Elizabeth Freeman, Tahir Ahmed – for Werneth Primary; Amelia Heslop, Yamam Shalabi and Zoe Perfettini for Marlborough Road Academy and Sumara Malik, Shahnaz Awan, Aniqa Sethi and Maybelle Capili for Oasis Academy Harpur Mount.